After a short hiatus, the Art Ed Bloggers Network is back in action! The AEBN is a partnership of art teachers from across the country. On the second Tuesday of each month all of these amazing teachers blog and post on the same topic. This month we are discussing art supplies!! There is so much to talk about when it comes to art supplies. 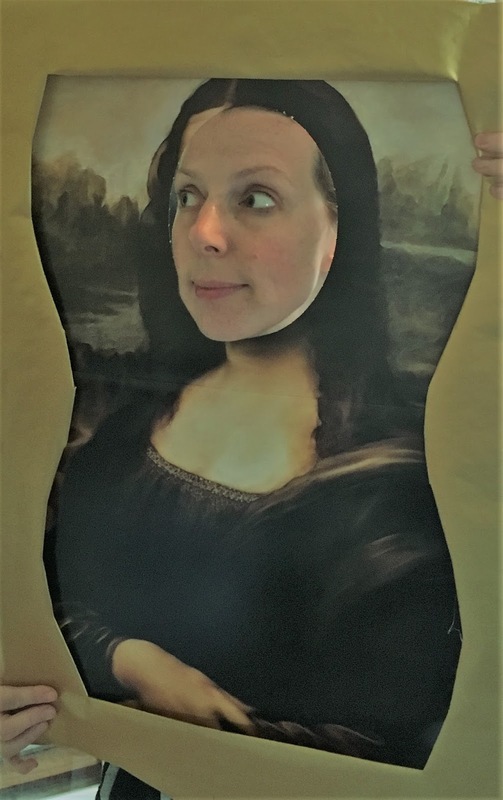 I'm assuming that maybe you are reading this post because you don't have as much experience with art supplies or maybe you do and are just looking to switch things up a bit?! There are many places to order supplies from and if you aren't limited to purchasing through purchase orders it opens up so many more doors for you. When I order for school, I can only order from companies that accept purchase orders (so no Amazon!). The nice part about Sax/School Specialty is that they give schools 30% off. You can get a lot for your money! My favorite thing to include in my order are the paper sample books. First, they are free! They let you see the papers first hand. You could also save them and use them for scraps and collage. When I started thinking about this post, I tried to think about one supply that every art room should have. That's a tall order as there are so many art supplies out there! If I had to make a case for one supply though, it would be the Sharpie! They can be used as the main ingredient or they can add to and enhance a work of art. Here are a few lesson examples that emphasized sharpie. "What do you Do with a Dot": I first saw this lesson on the Firstie Land Blog. I tried it with my first graders this year for Dot Day and it was a huge success! Sharpies are also incredible with line design and Zentangle lessons. 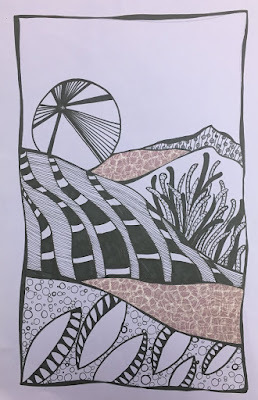 A few years ago I tried out this Zentangle Landscape Lesson with 6th grade. I haven't thought about this lesson in a long time. 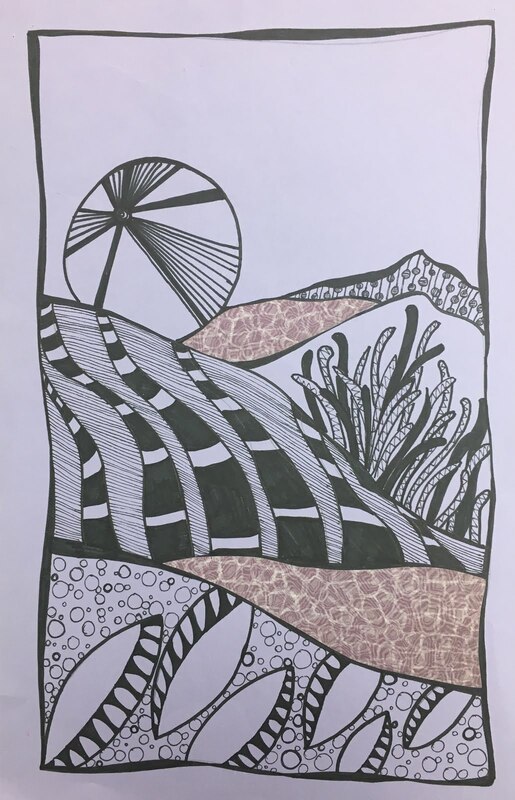 The students were able to explore many different styles of lines and patterns which were only enhanced by the use of sharpie. I'm definitely going to have to give this one a whirl again this year! 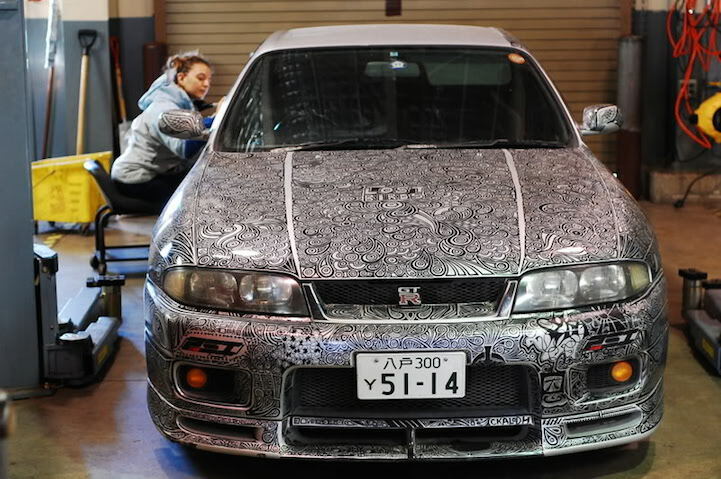 Introduce your sharpie lessons by exploring these artists and their incredible Sharpie art. 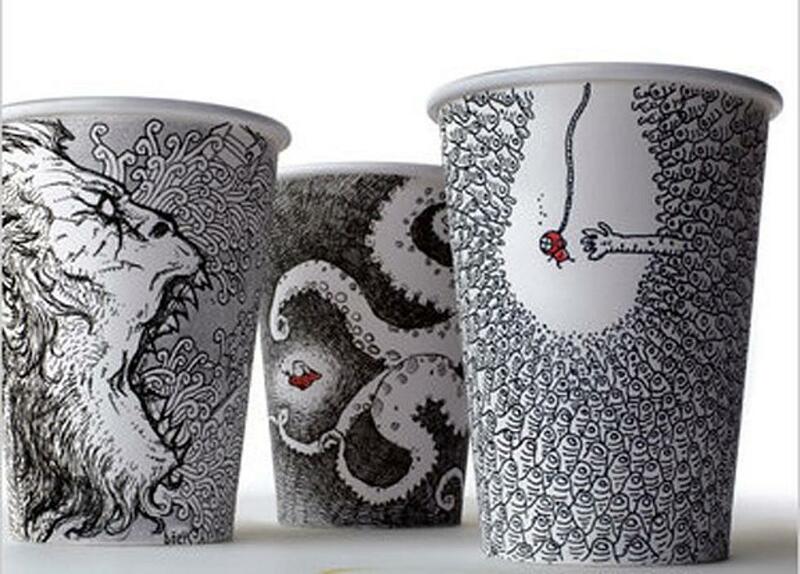 I love that these Sharpie examples show you that art can take place on any platform! What are you're favorite Sharpie lessons?